Fully Guided Full Arch Immediate Implant Reconstruction (Same Day Teeth®): Prosthetic and Surgical Protocol is organized by Pikos Institute and will be held from Sep 12 - 14, 2019 at Pikos Institute Inc, Trinity, Florida, United States of America. This CME Conference has been approved for a maximum of 23 CE Hours. Course Objectives: At the end of this presentation, course attendees will be able to: • Learn the protocol for a unique, digitally planned, fully guided surgical, restorative, and laboratory approach for immediate full arch implant reconstruction (Same Day Teeth - nSequence Guided Prosthetic protocol). • Compare the indications and advantages of a unique digital based, fully guided, interdisciplinary protocol (Same Day Teeth - nSequence Guided Prosthetics protocol) with the conversion denture protocol for full arch immediate implant reconstruction. • Learn the advantages of providing Same Day Teeth with the nSequence Guided prosthetics protocol digital workflow in comparison to the workflow for both provisional and final prosthesis fabrication. • Understand the limitations and complications of the Same Day Teeth - nSequence Guided Prosthetics protocol in addition to the conversion denture protocol. Contemporary Soft Tissue Grafting for Implant Reconstruction is organized by Pikos Institute and will be held from Sep 26 - 28, 2019 at Pikos Institute Inc, Trinity, Florida, United States of America. This CE Conference has been approved for a maximum of 23 Credit Hours. Top 5 Reasons To Attend Soft Tissue Grafting for Implant Reconstruction In this course, you will: • Become proficient with implant-based soft tissue management. • Understand “the why” not just “the how to” of soft tissue grafting. • Build confidence and develop your skill set with the most utilized soft tissue grafting procedures in implant dentistry. • Improve your profitability with implant based soft tissue grafting procedures. • Increase predictability and long-term stability of your bone graft cases. 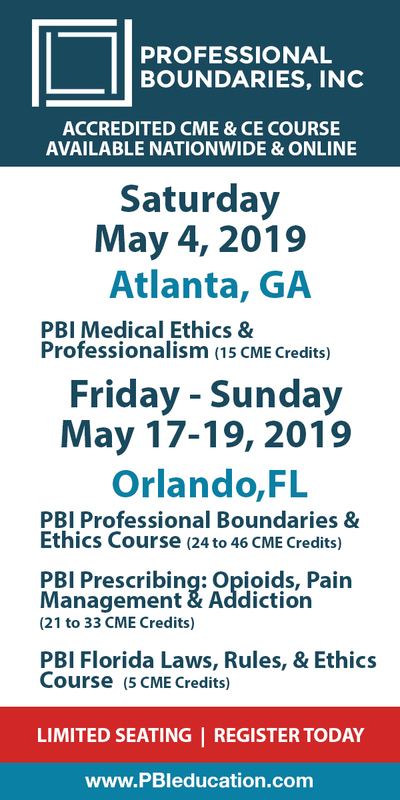 Course Objectives: At the completion of this course, attendees will be able to: • Describe the practical application of the Pikos Institute Philosophy for soft tissue manipulation, incision design and suturing techniques for predictable soft tissue grafting. • Describe the anatomy, biology and wound healing of peri-implant tissues. • Understand the indications, guidelines and surgical protocols for advanced soft tissue procedures. • Perform implant related advanced soft tissue augmentation procedures. • Recognize, manage and prevent complications associated with advanced soft tissue grafting. Course Topics: • Pikos Institute Philosophy of oral implant rehabilitation for soft tissue therapy - "Think Outside the Bone™". • Key principles for evidence based predictable soft tissue grafting. • Site specific soft tissue anatomy and wound healing of peri-implant tissues. • Soft tissue manipulation and incision flap design for predictable bone grafting. • Optimal sequencing of soft tissue procedures for successful implant surgery and bone grafting. • Guidelines, indications and surgical protocols for the following: • Gingival grafts, subepithelial connective tissue grafts and acellular dermis matrix allografts. • Development of optimal peri-implant soft tissue architecture. • Eight most commonly used suturing techniques for implant surgical reconstruction. • Soft tissue grafting protocols for esthetic zone reconstruction. • Predictable protocols for extraction site management with and without simultaneous implant placement. • Growth factor technology (L-PRF, PRGF, PDGF) in conjunction with soft tissue grafting protocols. • Risk management issues/ informed consent for advanced soft tissue grafting. • Recognition, management and prevention of complications associated with soft tissue grafting. Sinus Grafting for Implant Reconstruction is organized by Pikos Institute and will be held from Oct 17 - 19, 2019 at Pikos Institute Inc, New Port Richey, Florida, United States of America. Accreditation: 23 Credit Hours - 21 hours lecture AGD Subject code: 690, 3 hours participation AGD Subject code: 690 Top 5 Reasons to Attend Sinus Grafting for Implant Reconstruction: In this course, you will: • Understand the 7 key principles for predictable sinus bone grafting. • Describe the science and art of sinus bone grafting via unique interactive lecture discussion, HD video clips, hands on workshops and live surgical demonstration. • Learn from Dr. Pikos’ 29 years of experience with sinus bone grafting (more than 1300 sinus grafts performed). • Experience a warm, friendly and unique environment for increasing diagnostic and surgical skill sets. • Learn not just the “how to”, but the “why” and “why not”. Course Objectives: At the completion of this course, attendees will be able to: • Describe the Pikos Institute Philosophy for sinus bone grafting as they become confident with the clinical and sequential CBCT evaluation protocol. • Understand the indications, guidelines and surgical protocols for sinus bone grafting: lateral and crestal approach. • Perform sinus bone grafting with delayed and simultaneous implant placement. • Understand the anatomy, biology and wound healing of sinus bone grafting. • Recognize, manage and prevent intraoperative and postoperative complications associated with sinus bone grafting. Course Topics: • Pikos Institute Philosophy of sinus bone grafting. • Sequential 3D digital diagnostic evaluation protocol for predictable sinus bone grafting. • 7 key principles and algorithms for science based, predictable sinus bone grafting. • Biology and wound healing of sinus bone grafting. • Comparison of autografts, allografts, xenografts and alloplasts as graft materials for sinus bone grafting. • Indications and step by step surgical protocol for sinus bone grafting – lateral and crestal approach. • Comprehensive long term case presentations (10-20+years). • Growth factor technology (L-PRF, PRGF, PRP, rhPDGF, rhBMP-2) in conjunction with sinus bone grafting. • Risk management issues related to sinus bone grafting. • Sinus bone grafting in the presence of thickened sinus membranes, polyps and mucous retention cysts. • Comprehensive recognition, management, and treatment of intraoperative, early and late postoperative complications. Alveolar Ridge Strategies: Single Tooth to Full Arch Reconstruction is organized by Pikos Institute and will be held from Nov 06 - 09, 2019 at Pikos Institute Inc, Trinity, Florida, United States of America. This Conference has been approved for a maximum of 31 Credit hours. Alveolar Ridge Strategies: Single Tooth to Full Arch Reconstruction is the practical application of the Pikos Institute Philosophy in hard tissue management for implant reconstruction. It is designed for clinicians who wish to develop proficiency in performing implant hard tissue augmentation procedures. This advanced level course is for clinicians who desire to improve their knowledge and skill sets in hard tissue grafting for implant dentistry. The focus is on reverse tissue engineering in optimization of hard tissue architecture for implant site development and implant placement. A sequential 3D digital diagnostic protocol will be utilized to improve patient selection, graft site evaluation, harvest site assessment and to minimize complications. Contemporary surgical bone grafting protocols, including extraction site management, ridge expansion, GBR, mesh with BMP and autogenous block grafting will be presented. A dedicated section of the course will address bone grafting complications. 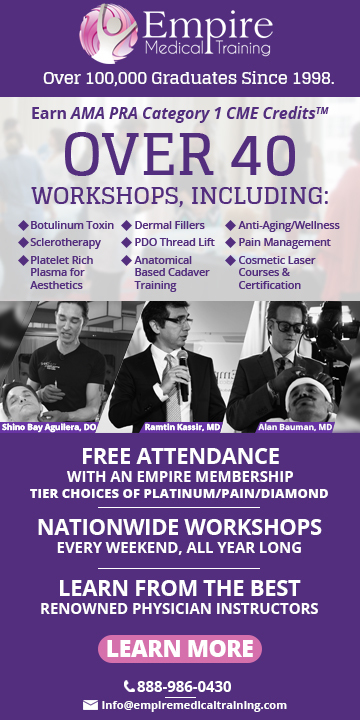 Top 5 Reasons To Attend Alveolar Ridge Strategies: Single Tooth to Full Arch Reconstruction In this unique bone grafting course, you’ll come to: • Understand the 6 key principles for predictable alveolar ridge bone grafting. • Discover the science and art of alveolar ridge bone grafting via unique interactive lecture discussion, live surgery demonstration, and hands-on workshops. • Learn from Dr. Pikos’ 30 years of bone graft experience. • Experience a unique learning environment for increasing your surgical skill sets. • Learn not just “the how-to”, but also “the why” and “the why not.” Course Objectives: At the completion of this course, attendees will be able to: • Describe the practical application of the Pikos Institute Philosophy for advanced hard tissue augmentation, incision design and suturing techniques for predictable implant rehabilitation. • Understand the indications, guidelines, and surgical protocols for advanced bone grafting procedures. • Perform implant related advanced hard tissue augmentation procedures. • Describe the anatomy, biology and wound healing of advanced bone grafting procedures. • Recognize, manage and prevent complications associated with advanced bone grafting. Course Topics: • Pikos Institute Philosophy of oral implant rehabilitation for hard tissue augmentation. • Sequential 3D digital diagnostic protocol to evaluate hard tissue donor sites and post graft recipient sites. • Key principles and algorithms for science based, predictable advanced bone grafting. • Site specific hard tissue architecture and wound healing as it relates to advanced bone grafting and case success. • Clinically significant anatomic variables for autogenous, allogeneic and xenograft bone grafting. • Evidence based data from 20 year retrospective and prospective mandibular block graft studies. • Biomechanical principles consistent with reverse tissue engineering of bone grafts. • Indications and surgical protocols for extraction site management, ridge expansion, GBR, allograft particulate grafting with resorbable barriers and autogenous block grafting. • Growth factor technology (PRGF, PDGF, BMP-2) in conjunction with bone grafting protocols. • Risk Management issues / informed consent for advanced bone grafting. • Recognition, management and prevention of complications associated with bone grafting.